The Fountain of San Sebastianello is a large wall fountain around the left side of the Spanish Steps. 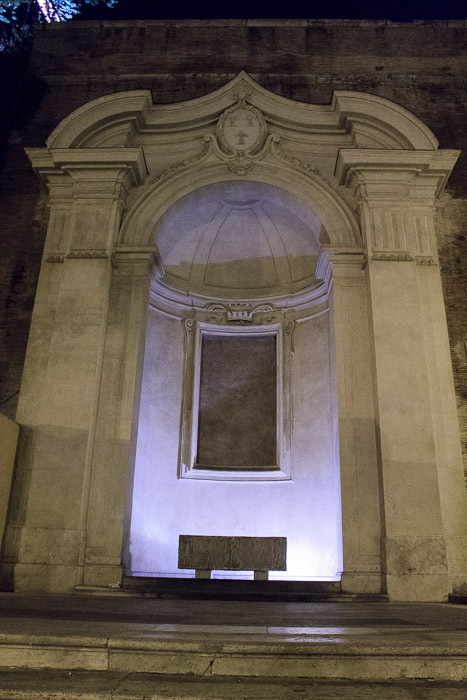 You can get there by walking down Via di San Sebastianello from Villa Medici and finding the fountain on the left side when you reach the bend in the road, or by walking uphill from the north edge of Piazza di Spagna. 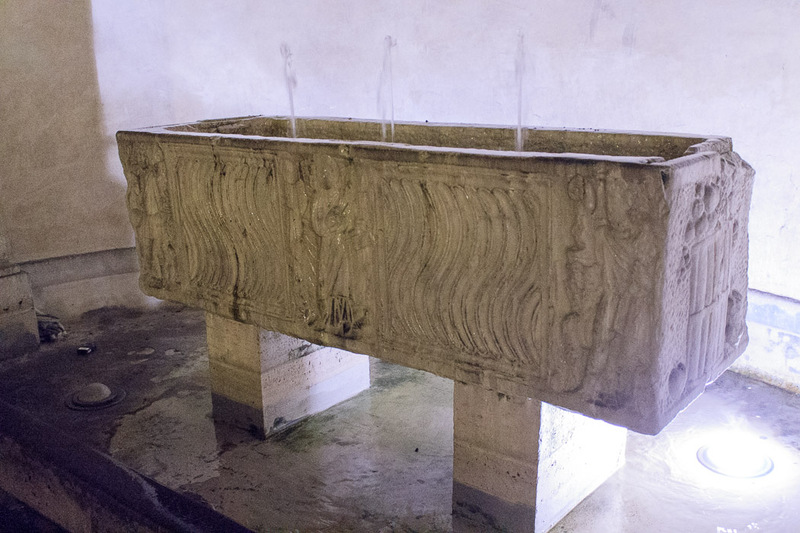 The fountain itself consists of a sarcophagus that shoots three streams of water into the air, inside a huge niche in a wall. See all Fountain of San Sebastianello photos.